Srinagar: Jammu and Kashmir is heading towards much coveted financial self reliance with the help of its traffic police, which has extracted enough revenues through fines to finance 70 percent of the state’s annual budget, Finance Minister Haseeb Drabu disclosed here today. 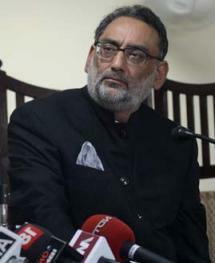 Flanked by the Inspector General of Police Traffic Viplav Kumar at a press conference here, Drabu commended the police for its overdrive, which he said had a single focus – revenue. Drabu termed the policy as a spark from his visionary persona. “I knew J&K could be self-reliant with my ideas, and here is the example. I appreciate the police, and also our people who have made this thing a success,” said Drabu. The traffic police have gone into an overdrive in Kashmir valley since the new government took office, seizing thousands of motorbikes every day, towing cars from nooks and corners, and extracting hefty fines on a large scale. “It has not been an easy affair, we have given our men daily and weekly revenue targets to meet, and pushed many of them to forego routine tips in order to meet the targets,” Kumar said. 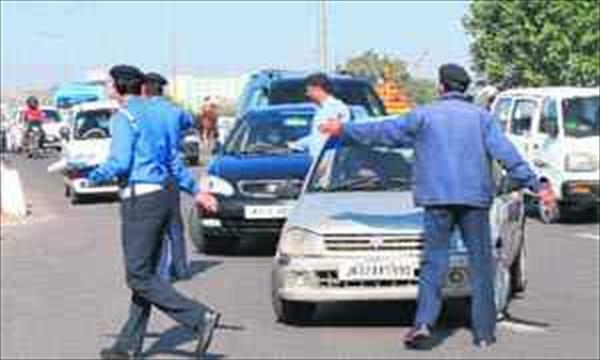 According to Kumar, people have been very cooperative; preferring to pay hefty fines rather than go for proper documentation or right parking. Sources in Finance department said the drive has been such a success that it became the main reason for Drabu to prepone the annual budget. “It was a windfall and we thought when the the target is met, why to wait for March, let us present the budget in January,” said Zamir Ahmad, an official in Finance Ministry.